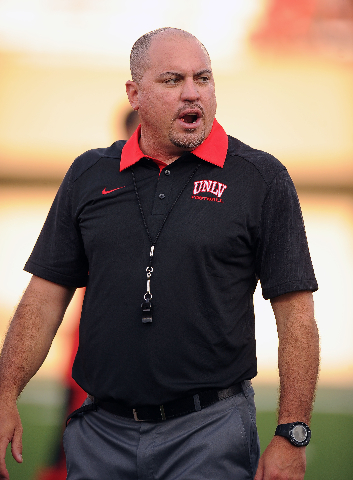 Almost every measurable edge goes to Northern Illinois, and the first UNLV football game under coach Tony Sanchez very well could become one to forget. But the Rebels have one big advantage going into today’s 4:30 p.m. PDT game at Huskie Stadium. 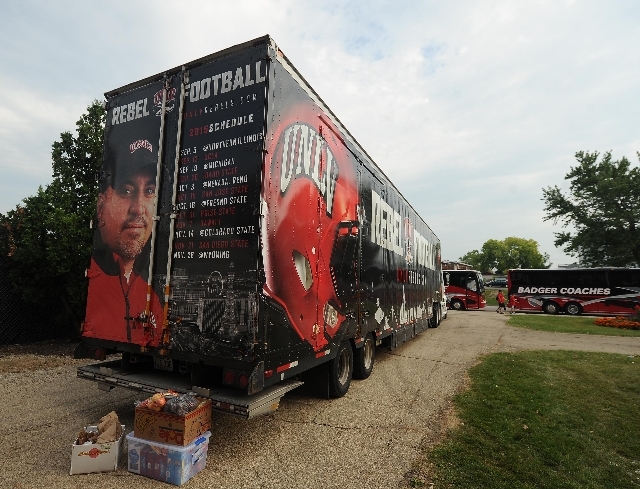 DEKALB, Ill. — Almost every measurable edge goes to Northern Illinois, and the first UNLV football game under coach Tony Sanchez very well could become one to forget. But the Rebels have one big advantage going into today’s 4:30 p.m. PDT game at Huskie Stadium. It’s the advantage of surprise created by an offseason full of changes. New coaching staff. New schemes. New personnel. Too much new, perhaps, for the Huskies in the season opener for both teams in a game that will be televised by CBS Sports Network. 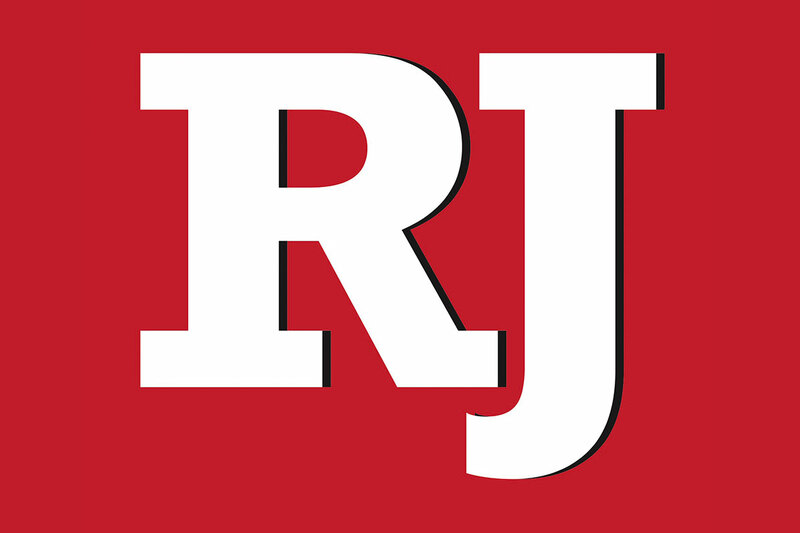 This is the most anticipated season opener in many years for Rebels fans, who had become indifferent at best toward a program that failed to produce more than two victories in most recent seasons. 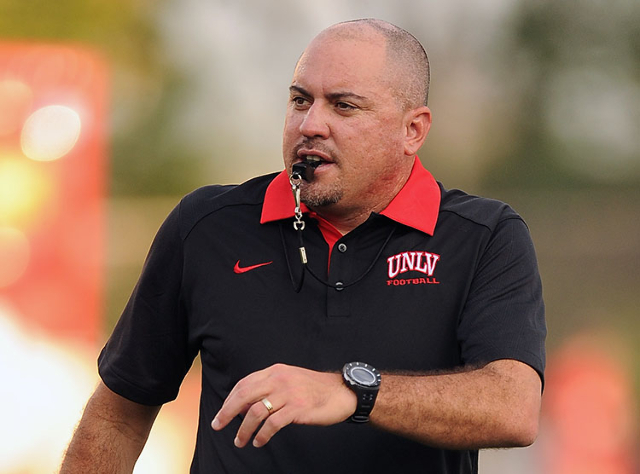 Sanchez energized the local fan base by selling Las Vegas as an integral part of the program, hiring a veteran college coaching staff and chasing recruits with the fervor of a cop going after a bank robber. But none of it might make much of a difference this season as Sanchez tries to build a program that for many years has had as much hope as the NFL does of winning a court case. 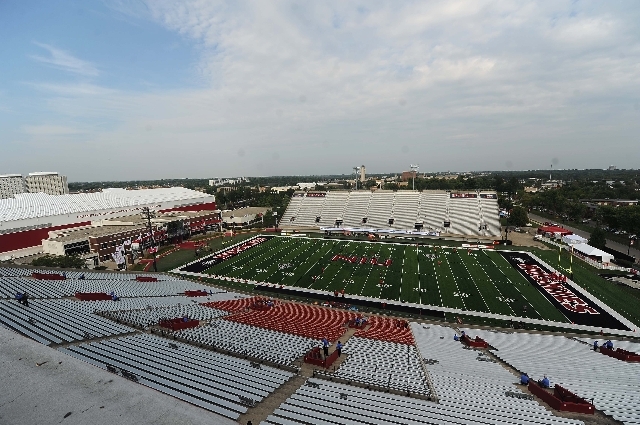 So even though fans are hungry to see the Rebels take a noticeable step forward, the chance of any kind of leap at Northern Illinois isn’t likely. 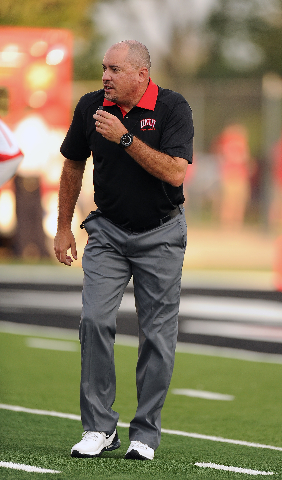 The Huskies are whom the Rebels aspire to be, having won at least 11 games for five seasons running and doing it under three coaches. Two moved on to more prestigious jobs — Jerry Kill to Minnesota and Dave Doeren to North Carolina State. Northern Illinois, a 23½-point favorite over UNLV, is led by quarterback Drew Hare, who passed for 2,322 yards and rushed for 900 last season. He succeeded Jordan Lynch, who in 2013 was a Heisman Trophy finalist. Containing Hare is among the top priorities for the Rebels, who need their defensive front to keep him from getting outside on the edge. UNLV also is concerned with the Huskies’ cornerbacks, particularly Paris Logan. He broke up 15 passes last season and intercepted three. The Rebels have the receivers to give the corners a challenge, particularly Devonte Boyd, who caught 65 passes for 980 yards in 2014 and was named the Mountain West Freshman of the Year. Quarterback Blake Decker showed in the spring and in training camp he has the ability to get his receivers the ball. He showed that last season as well, passing for 2,886 yards, but Decker also threw 18 interceptions. If he cuts down on mistakes, Decker and his receivers have the chance to move the ball against the Huskies. 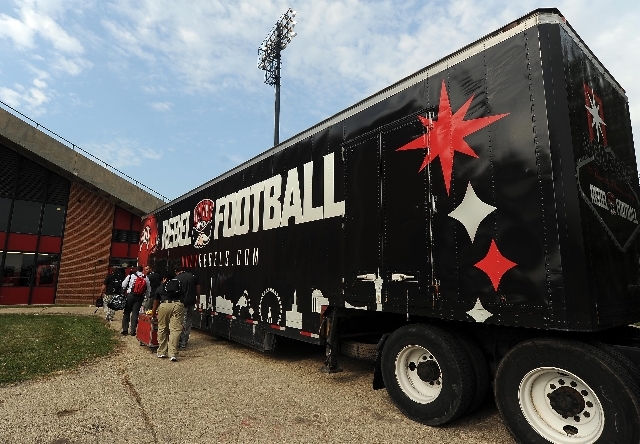 UNLV’s best opportunity is to catch Northern Illinois early and set the tone. If the Rebels do that, they will give themselves a chance to be in the game and maybe even pull off the upset. 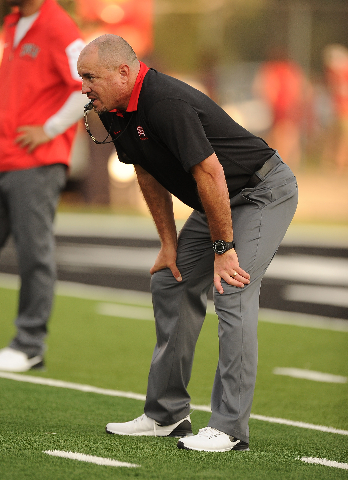 Sanchez acknowledged the Rebels would have an early advantage from a preparation standpoint, but that Carey and his staff have done their share of work as well.